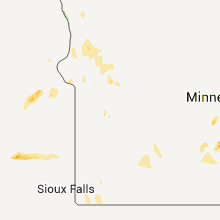 The Jeffers, MN area has had 1 report of on-the-ground hail by trained spotters, and has been under severe weather warnings 5 times during the past 12 months. 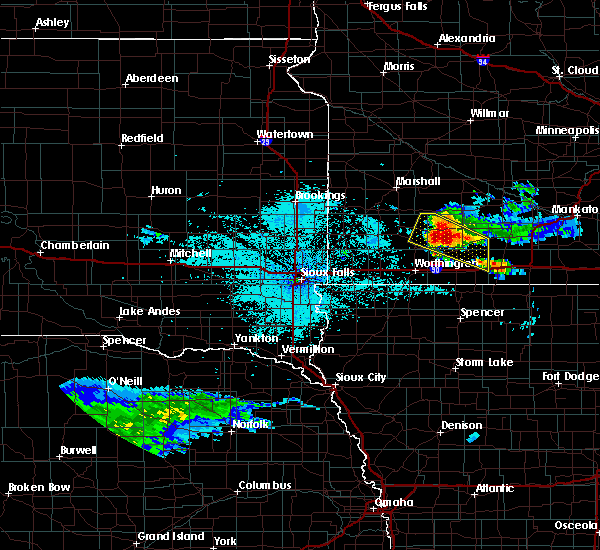 Doppler radar has detected hail at or near Jeffers, MN on 28 occasions, including 1 occasion during the past year. 8/5/2018 3:47 AM CDT At 346 am cdt, a severe thunderstorm was located near jeffers, or 8 miles north of windom, moving east at 35 mph (radar indicated). Hazards include 60 mph wind gusts and quarter size hail. Hail damage to vehicles is expected. expect wind damage to roofs, siding, and trees. Locations impacted include, windom, mountain lake, comfrey, jeffers, bingham lake and delft. 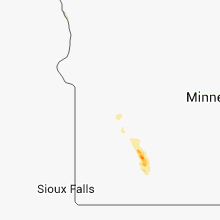 8/5/2018 3:34 AM CDT At 334 am cdt, a severe thunderstorm was located near storden, or 10 miles northwest of windom, moving east at 35 mph (radar indicated). Hazards include 70 mph wind gusts and quarter size hail. Hail damage to vehicles is expected. expect considerable tree damage. wind damage is also likely to mobile homes, roofs, and outbuildings. Locations impacted include, windom, mountain lake, westbrook, comfrey, jeffers, storden, bingham lake, wilder and delft. 8/5/2018 3:23 AM CDT At 323 am cdt, a severe thunderstorm was located near westbrook, or 15 miles northwest of windom, moving east at 35 mph (radar indicated). Hazards include 70 mph wind gusts and quarter size hail. Hail damage to vehicles is expected. expect considerable tree damage. wind damage is also likely to mobile homes, roofs, and outbuildings. this severe thunderstorm will be near, storden around 330 am cdt. jeffers around 340 am cdt. 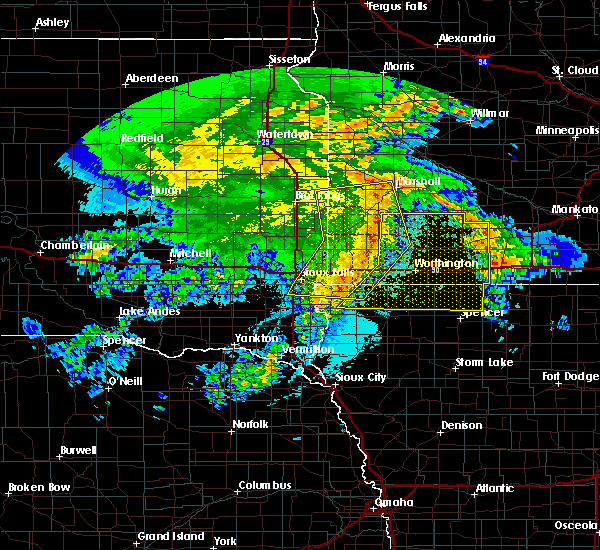 windom around 345 am cdt. bingham lake around 355 am cdt. mountain lake and comfrey around 405 am cdt. Other locations impacted by this severe thunderstorm include delft and wilder. 8/5/2018 3:21 AM CDT At 320 am cdt, a severe thunderstorm was located near westbrook, or 15 miles east of slayton, moving east at 35 mph (radar indicated). Hazards include 60 mph wind gusts and quarter size hail. Hail damage to vehicles is expected. expect wind damage to roofs, siding, and trees. this severe storm will be near, storden around 330 am cdt. Other locations impacted by this severe thunderstorm include wilder, dundee and kinbrae. 8/5/2018 3:06 AM CDT At 306 am cdt, a severe thunderstorm was located near fulda, or 7 miles east of slayton, moving east at 35 mph (radar indicated). Hazards include 60 mph wind gusts and quarter size hail. Hail damage to vehicles is expected. expect wind damage to roofs, siding, and trees. this severe thunderstorm will be near, dovray around 315 am cdt. westbrook around 325 am cdt. storden around 330 am cdt. Other locations impacted by this severe thunderstorm include wilder, dundee, avoca and kinbrae. 4/13/2018 8:37 AM CDT At 836 am cdt, severe thunderstorms were located along a line extending from near walnut grove to near bingham lake to near kilen woods state park, moving east at 55 mph (law enforcement). Hazards include 70 mph wind gusts. Expect considerable tree damage. damage is likely to mobile homes, roofs, and outbuildings. these severe storms will be near, bingham lake around 840 am cdt. mountain lake and bergen around 845 am cdt. comfrey around 850 am cdt. Other locations impacted by these severe thunderstorms include delft and wilder. 4/13/2018 8:31 AM CDT At 829 am cdt, severe thunderstorms were located along a line extending from near walnut grove to 7 miles west of windom to near lakefield, moving east at 50 mph (law enforcement). Hazards include 70 mph wind gusts. Expect considerable tree damage. damage is likely to mobile homes, roofs, and outbuildings. 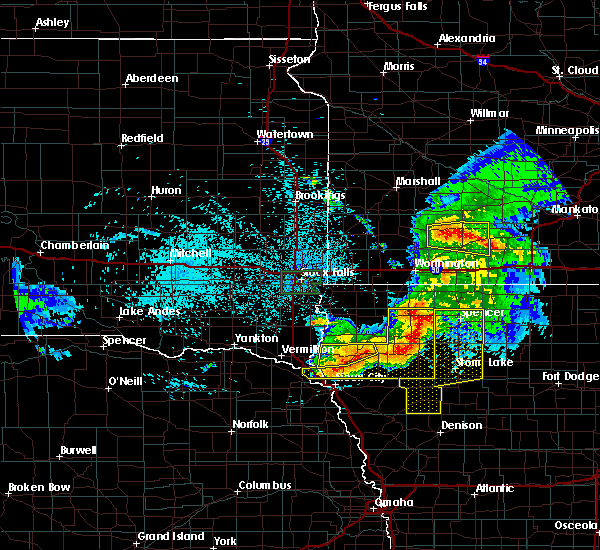 these severe storms will be near, windom and lakefield around 835 am cdt. bingham lake and kilen woods state park around 845 am cdt. mountain lake and bergen around 850 am cdt. comfrey around 855 am cdt. Other locations impacted by these severe thunderstorms include delft, wilder and okabena. 4/13/2018 8:20 AM CDT At 818 am cdt, severe thunderstorms were located along a line extending from near lake shetek state park to near fulda to near worthington, moving east at 25 mph (radar indicated. 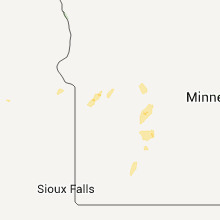 at 8 am cdt 70 mph winds were reported 2 miles east of wilmont). Hazards include 70 mph wind gusts. Expect considerable tree damage. damage is likely to mobile homes, roofs, and outbuildings. severe thunderstorms will be near, brewster around 830 am cdt. heron lake around 840 am cdt. 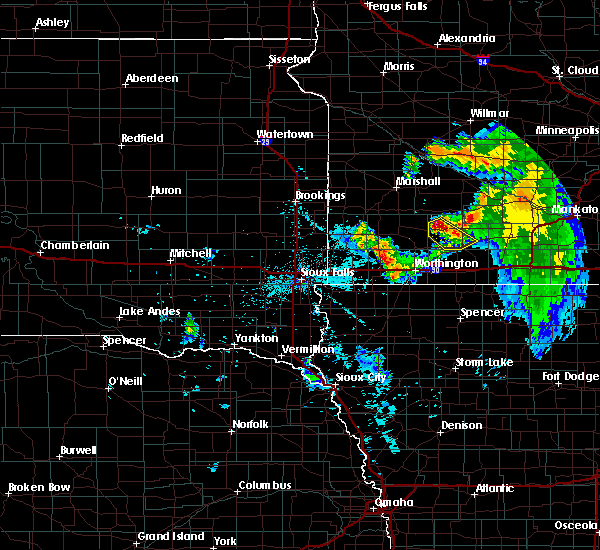 windom, lakefield and bingham lake around 900 am cdt. Other locations impacted by these severe thunderstorms include delft, alpha, kinbrae, wilder, dundee, okabena and avoca. 8/18/2017 7:26 PM CDT At 726 pm cdt, a severe thunderstorm was located near bingham lake, or 8 miles north of windom, moving east at 40 mph (radar indicated). Hazards include 60 mph wind gusts and quarter size hail. Hail damage to vehicles is expected. expect wind damage to roofs, siding, and trees. this severe storm will be near, bingham lake around 730 pm cdt. mountain lake around 740 pm cdt. Other locations impacted by this severe thunderstorm include delft. 8/18/2017 7:15 PM CDT At 715 pm cdt, a severe thunderstorm was located near jeffers, or 11 miles northwest of windom, moving east at 40 mph (radar indicated). Hazards include 60 mph wind gusts and quarter size hail. Hail damage to vehicles is expected. expect wind damage to roofs, siding, and trees. 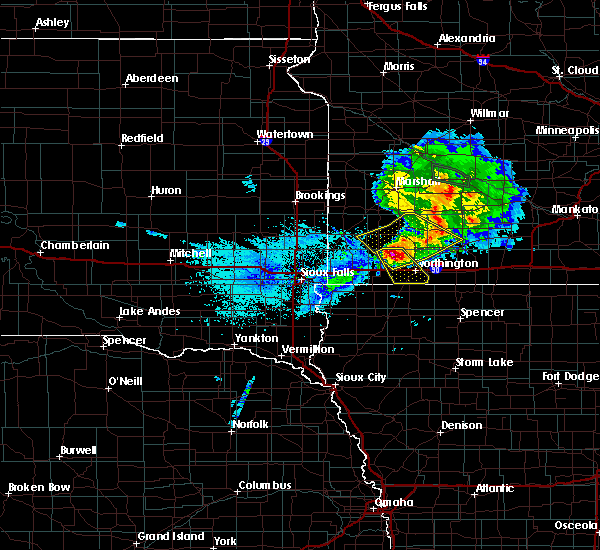 this severe thunderstorm will be near, windom around 725 pm cdt. bingham lake around 730 pm cdt. mountain lake around 740 pm cdt. Other locations impacted by this severe thunderstorm include delft. 7/20/2017 12:49 AM CDT At 1248 am cdt, a severe thunderstorm was located near bergen, or 12 miles east of windom, moving southeast at 55 mph (radar indicated). Hazards include two inch hail and 60 mph wind gusts. People and animals outdoors will be injured. expect hail damage to roofs, siding, windows, and vehicles. expect wind damage to roofs, siding, and trees. This severe thunderstorm will remain over mainly rural areas of northeastern jackson and southeastern cottonwood counties, including the following locations: alpha, delft and wilder. 7/20/2017 12:37 AM CDT At 1237 am cdt, a severe thunderstorm was located over windom, moving southeast at 55 mph (radar indicated). Hazards include golf ball size hail and 60 mph wind gusts. People and animals outdoors will be injured. expect hail damage to roofs, siding, windows, and vehicles. expect wind damage to roofs, siding, and trees. this severe storm will be near, mountain lake around 1240 am cdt. bergen around 1245 am cdt. Other locations impacted by this severe thunderstorm include alpha, delft and wilder. 7/20/2017 12:31 AM CDT At 1230 am cdt, a severe thunderstorm was located near windom, moving southeast at 55 mph (radar indicated). Hazards include golf ball size hail and 60 mph wind gusts. People and animals outdoors will be injured. expect hail damage to roofs, siding, windows, and vehicles. expect wind damage to roofs, siding, and trees. 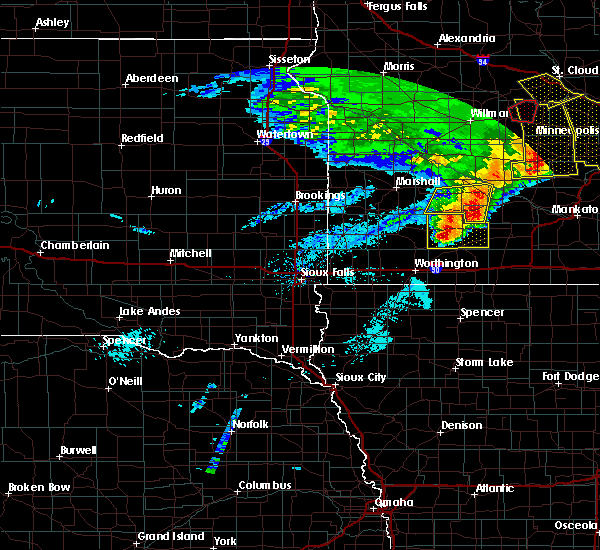 this severe storm will be near, windom around 1235 am cdt. bingham lake around 1240 am cdt. bergen around 1245 am cdt. Other locations impacted by this severe thunderstorm include alpha, wilder, delft and avoca. 7/20/2017 12:25 AM CDT At 1225 am cdt, a severe thunderstorm was located near storden, or 11 miles northwest of windom, moving southeast at 55 mph (radar indicated). Hazards include 60 mph wind gusts and half dollar size hail. Hail damage to vehicles is expected. expect wind damage to roofs, siding, and trees. 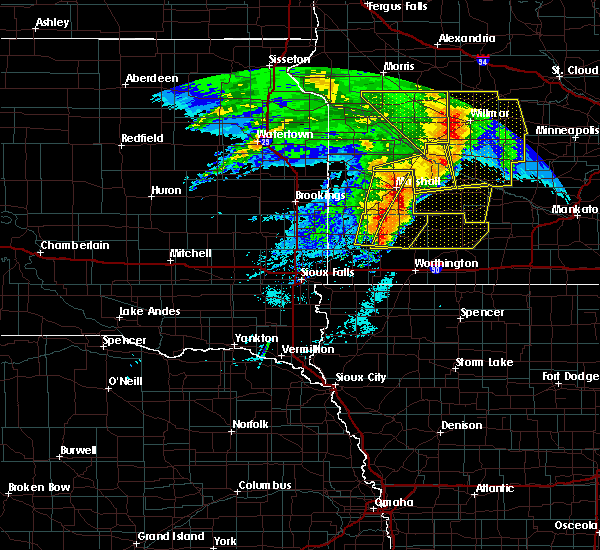 this severe thunderstorm will be near, windom around 1235 am cdt. bingham lake around 1240 am cdt. bergen around 1245 am cdt. Other locations impacted by this severe thunderstorm include alpha, wilder, delft and avoca. 7/19/2017 2:34 PM CDT At 234 pm cdt, severe thunderstorms were located along a line extending from near lamberton to near jeffers to 7 miles southeast of storden, moving east at 65 mph (radar indicated). Hazards include 60 mph wind gusts. Expect damage to roofs, siding, and trees. 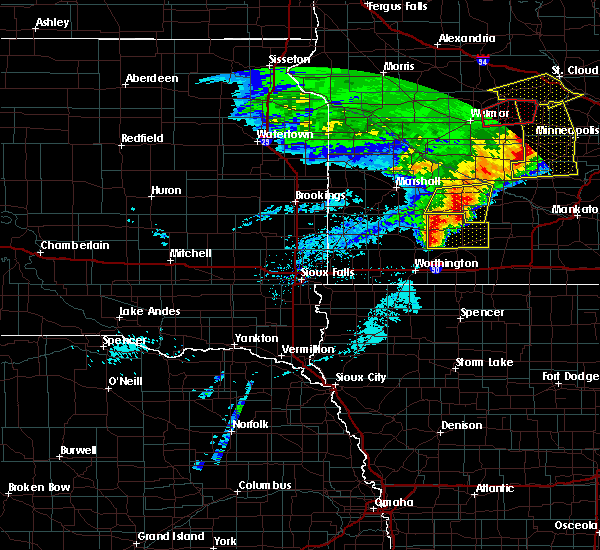 severe thunderstorms will be near, comfrey around 245 pm cdt. mountain lake around 250 pm cdt. Other locations impacted by these severe thunderstorms include delft and sanborn. 6/13/2017 11:11 PM CDT The severe thunderstorm warning for jackson and cottonwood counties will expire at 1115 pm cdt, the storms which prompted the warning have moved out of the area. therefore the warning will be allowed to expire. however gusty winds are still possible with these thunderstorms. 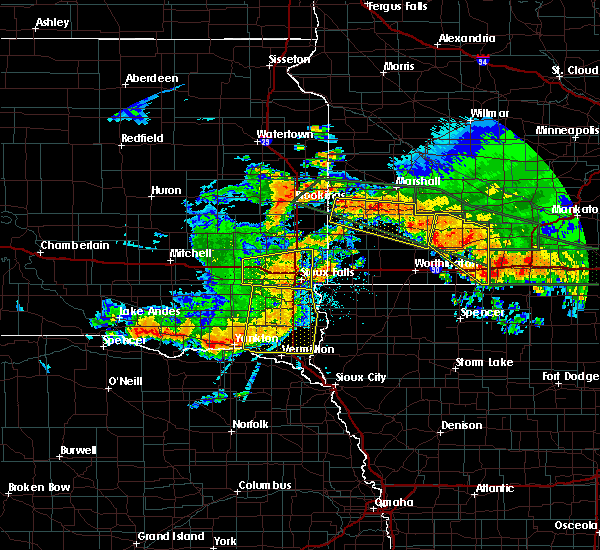 a tornado watch remains in effect until 200 am cdt for northwestern iowa, and southwestern minnesota. 6/13/2017 10:53 PM CDT At 1053 pm cdt, severe thunderstorms were located along a line extending from 7 miles southwest of springfield to windom to 7 miles northwest of orleans, moving east at 50 mph (radar indicated). Hazards include 70 mph wind gusts and penny size hail. Expect considerable tree damage. damage is likely to mobile homes, roofs, and outbuildings. 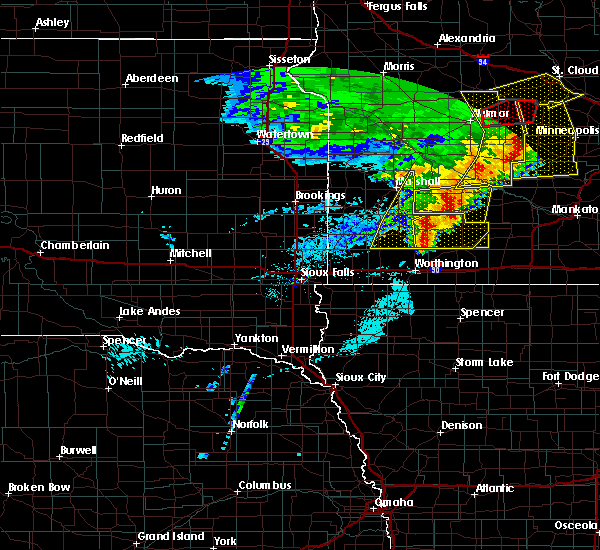 these severe storms will be near, bergen around 1100 pm cdt. mountain lake and comfrey around 1105 pm cdt. other locations impacted by these severe thunderstorms include alpha, wilder, delft, okabena and sanborn. 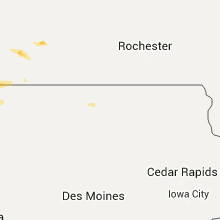 A tornado watch remains in effect until 200 am cdt for northwestern iowa, and southwestern minnesota. 6/13/2017 10:33 PM CDT At 1033 pm cdt, severe thunderstorms were located along a line extending from near walnut grove to round lake, moving east at 50 mph (radar indicated). Hazards include 70 mph wind gusts and penny size hail. Expect considerable tree damage. damage is likely to mobile homes, roofs, and outbuildings. severe thunderstorms will be near, lakefield around 1055 pm cdt. kilen woods state park around 1100 pm cdt. jackson in jackson county around 1105 pm cdt. other locations impacted by these severe thunderstorms include alpha, wilder, delft, okabena and sanborn. 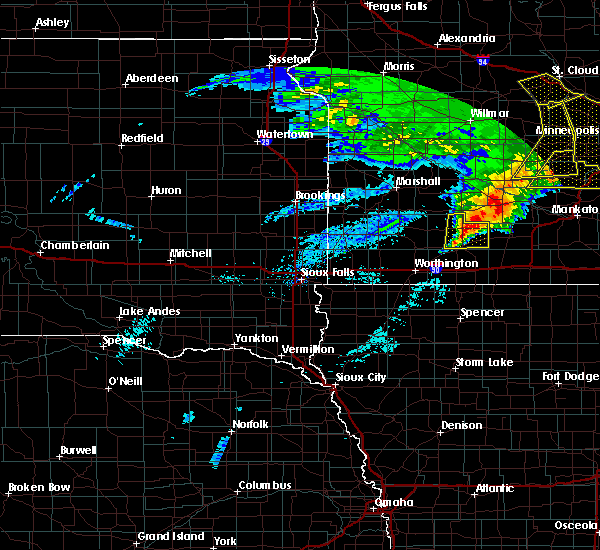 A tornado watch remains in effect until 200 am cdt for northwestern iowa, and southwestern minnesota. 6/11/2017 8:11 AM CDT At 811 am cdt, severe thunderstorms were located along a line extending from near comfrey to near mountain lake, moving northeast at 45 mph (radar indicated). Hazards include ping pong ball size hail and 60 mph wind gusts. People and animals outdoors will be injured. expect hail damage to roofs, siding, windows, and vehicles. expect wind damage to roofs, siding, and trees. 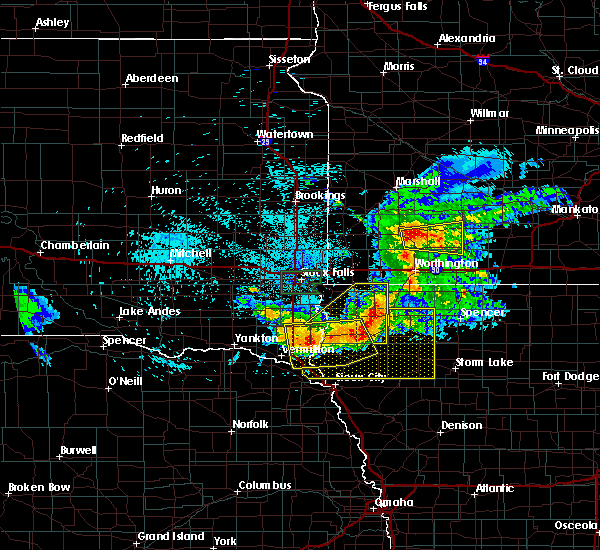 these severe storms will be near, comfrey around 815 am cdt. Other locations impacted by these severe thunderstorms include delft and sanborn. 6/11/2017 7:56 AM CDT At 756 am cdt, severe thunderstorms were located along a line extending from near jeffers to near windom, moving northeast at 45 mph (radar indicated). Hazards include 60 mph wind gusts and half dollar size hail. Hail damage to vehicles is expected. expect wind damage to roofs, siding, and trees. these severe storms will be near, mountain lake and comfrey around 810 am cdt. Other locations impacted by these severe thunderstorms include delft and sanborn. 6/11/2017 7:46 AM CDT At 745 am cdt, a severe thunderstorm was located near westbrook, or 20 miles northeast of slayton, moving northeast at 45 mph (radar indicated). Hazards include 60 mph wind gusts and half dollar size hail. Hail damage to vehicles is expected. expect wind damage to roofs, siding, and trees. this severe storm will be near, jeffers around 755 am cdt. Other locations impacted by this severe thunderstorm include delft and sanborn. 6/11/2017 7:40 AM CDT At 740 am cdt, a severe thunderstorm was located near westbrook, or 15 miles northeast of slayton, moving northeast at 40 mph (radar indicated). Hazards include 60 mph wind gusts and half dollar size hail. Hail damage to vehicles is expected. expect wind damage to roofs, siding, and trees. this severe thunderstorm will be near, storden around 750 am cdt. jeffers around 755 am cdt. Other locations impacted by this severe thunderstorm include delft and sanborn. 6/11/2017 7:19 AM CDT At 718 am cdt, severe thunderstorms were located along a line extending from near redwood falls to near dovray to near fulda, moving east at 45 mph (radar indicated). Hazards include ping pong ball size hail and 60 mph wind gusts. People and animals outdoors will be injured. expect hail damage to roofs, siding, windows, and vehicles. expect wind damage to roofs, siding, and trees. these severe storms will be near, storden around 730 am cdt. jeffers around 740 am cdt. other locations impacted by these severe thunderstorms include avoca, iona, delft, garvin, hadley and sanborn. 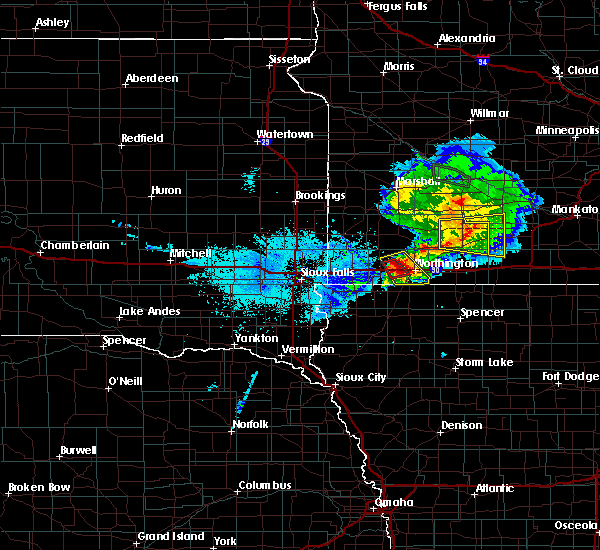 The largest hail with this storm looks to be near slayton and avoca. 6/11/2017 7:05 AM CDT At 705 am cdt, severe thunderstorms were located along a line extending from 7 miles northwest of wabasso to currie to 6 miles southeast of chandler, moving east at 45 mph (radar indicated). Hazards include 60 mph wind gusts and quarter size hail. Hail damage to vehicles is expected. expect wind damage to roofs, siding, and trees. severe thunderstorms will be near, dovray around 715 am cdt. westbrook around 720 am cdt. 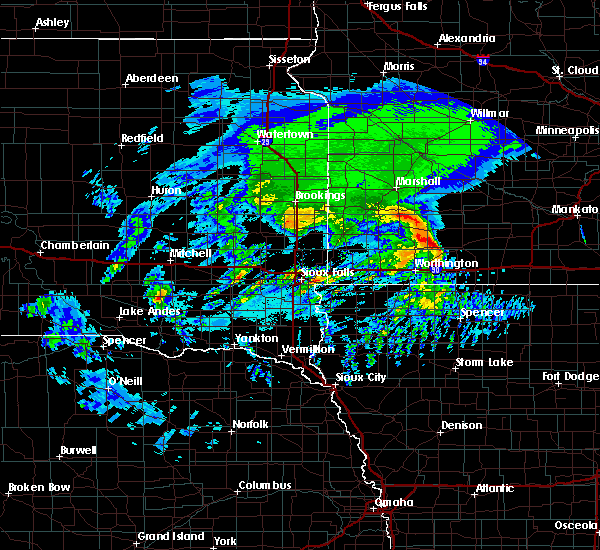 fulda around 725 am cdt. storden around 730 am cdt. 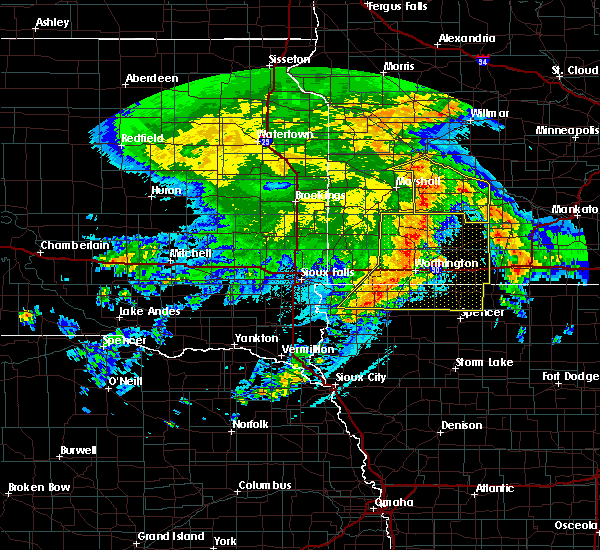 jeffers around 735 am cdt. Other locations impacted by these severe thunderstorms include avoca, iona, delft, garvin, hadley and sanborn. 7/17/2016 12:22 AM CDT The severe thunderstorm warning for cottonwood and eastern jackson counties will expire at 1230 am cdt, the storm which prompted the warning has weakened below severe limits, and no longer pose an immediate threat to life or property. therefore, the warning will be allowed to expire. however gusty winds and heavy rain are still possible with this thunderstorm. a severe thunderstorm watch remains in effect until 200 am cdt for northwestern iowa, and southwestern minnesota. 7/17/2016 12:12 AM CDT At 1211 am cdt, a severe thunderstorm was located over windom, moving southeast at 40 mph (radar indicated). Hazards include 60 mph wind gusts and nickel size hail. Expect damage to roofs. siding. and trees. this severe storm will be near, windom and bingham lake around 1215 am cdt. jackson in jackson county, bergen and kilen woods state park around 1230 am cdt. Other locations impacted by this severe thunderstorm include delft, wilder and alpha. 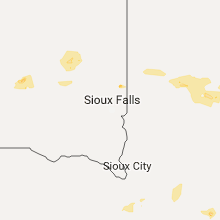 7/16/2016 11:49 PM CDT At 1149 pm cdt, a severe thunderstorm was located near storden, or 11 miles northwest of windom, moving southeast at 45 mph (radar indicated). Hazards include 70 mph wind gusts and quarter size hail. Hail damage to vehicles is expected. expect considerable tree damage. wind damage is also likely to mobile homes, roofs, and outbuildings. 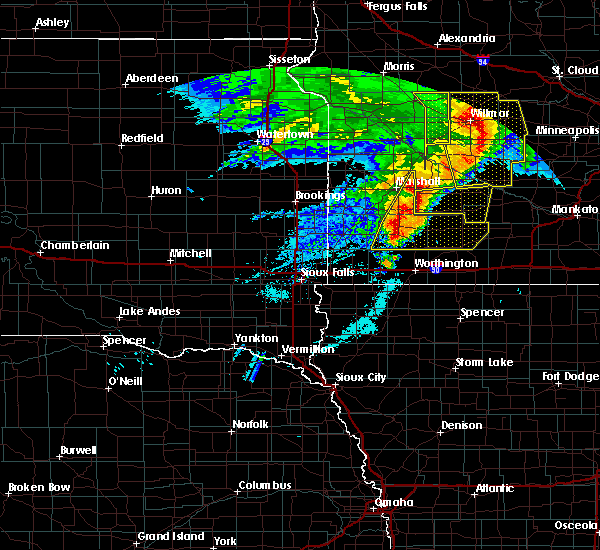 this severe thunderstorm will be near, windom around 1200 am cdt. bingham lake around 1205 am cdt. mountain lake around 1210 am cdt. bergen around 1215 am cdt. Other locations impacted by this severe thunderstorm include delft, wilder and alpha. 7/16/2016 10:32 PM CDT At 1032 pm cdt, severe thunderstorms were located along a line extending from near st. james to near jeffers to near westbrook, moving east at 25 mph (radar indicated). Hazards include 70 mph wind gusts and quarter size hail. Hail damage to vehicles is expected. expect considerable tree damage. wind damage is also likely to mobile homes, roofs, and outbuildings. 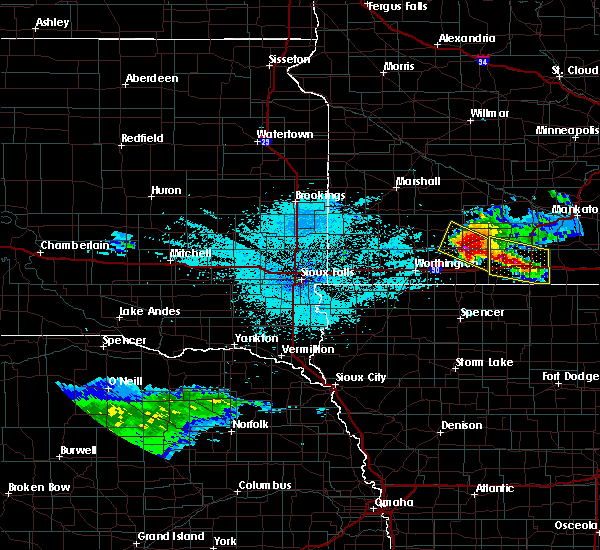 these severe storms will be near, comfrey around 1055 pm cdt. mountain lake around 1100 pm cdt. Other locations impacted by these severe thunderstorms include delft and sanborn. 7/16/2016 10:06 PM CDT At 1006 pm cdt, severe thunderstorms were located along a line extending from 6 miles west of hanska to near springfield to near lamberton, moving southeast at 35 mph (radar indicated). Hazards include 60 mph wind gusts and quarter size hail. Hail damage to vehicles is expected. expect wind damage to roofs, siding, and trees. 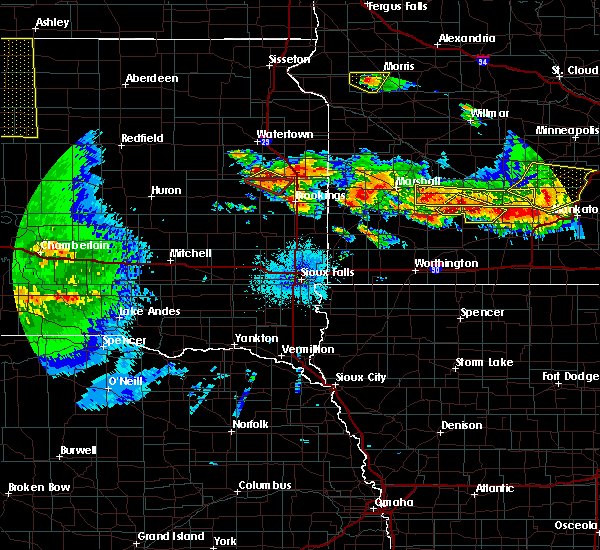 severe thunderstorms will be near, comfrey around 1015 pm cdt. bingham lake around 1040 pm cdt. mountain lake around 1050 pm cdt. Other locations impacted by these severe thunderstorms include delft and sanborn. 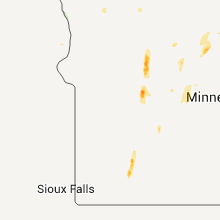 6/28/2015 12:22 AM CDT At 1221 am cdt, a severe thunderstorm was located near storden, or 10 miles northwest of windom, moving southeast at 40 mph (radar indicated). Hazards include 70 mph wind gusts and quarter size hail. Hail damage to vehicles is expected. expect considerable tree damage. wind damage is also likely to mobile homes, roofs and outbuildings. this severe storm will be near, windom around 1235 am cdt. bingham lake around 1240 am cdt. Other locations impacted by this severe thunderstorm include delft. 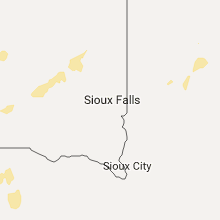 6/28/2015 12:11 AM CDT At 1210 am cdt, a severe thunderstorm was located near storden, or 18 miles northwest of windom, moving southeast at 30 mph (radar indicated). Hazards include 70 mph wind gusts and quarter size hail. Hail damage to vehicles is expected. expect considerable tree damage. wind damage is also likely to mobile homes, roofs and outbuildings. this severe thunderstorm will be near, storden around 1220 am cdt. jeffers around 1225 am cdt. 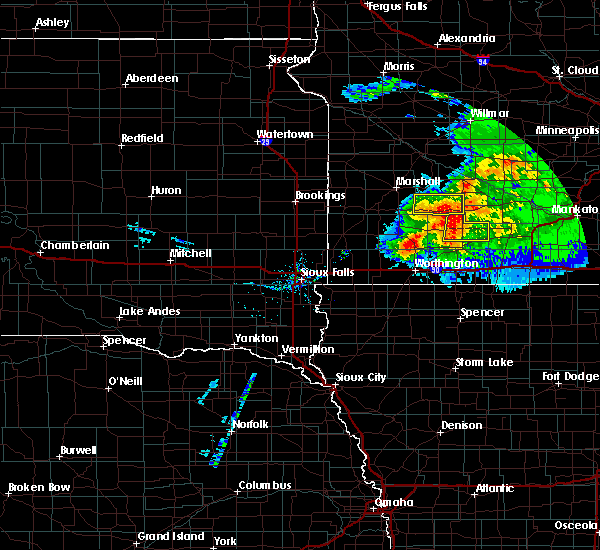 windom and bingham lake around 1245 am cdt. Other locations impacted by this severe thunderstorm include delft. 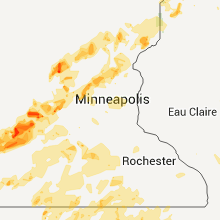 6/22/2015 5:36 AM CDT At 535 am cdt, severe thunderstorms were located along a line extending from near comfrey to near terril, moving east at 75 mph (radar indicated). Hazards include 70 mph wind gusts. Expect considerable tree damage. damage is likely to mobile homes, roofs and outbuildings. These severe thunderstorms will remain over mainly rural areas of dickinson, eastern osceola, northeastern o`brien, jackson and cottonwood counties, including the following locations, okabena, wilder, alpha, delft and sanborn. 6/22/2015 5:23 AM CDT At 523 am cdt, severe thunderstorms were located along a line extending from 6 miles southwest of lamberton to 6 miles north of everly, moving east at 70 mph (radar indicated). Hazards include 60 mph wind gusts. Expect damage to roofs. siding and trees. 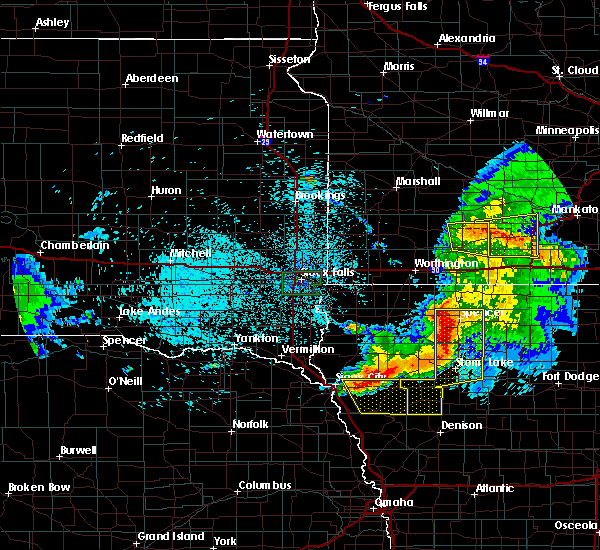 severe thunderstorms will be near, jeffers around 530 am cdt. 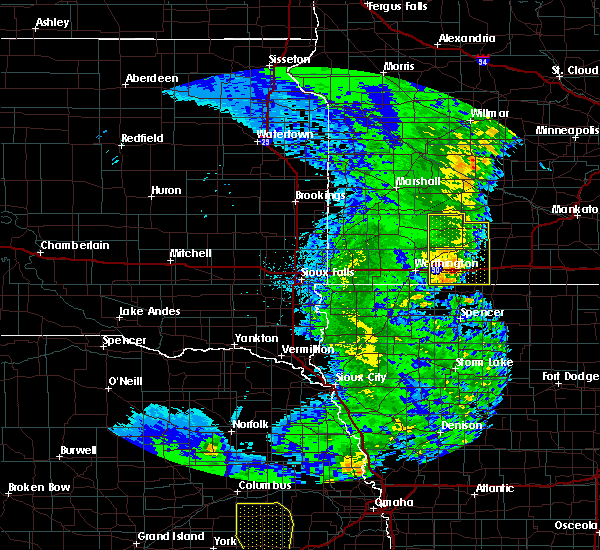 milford, arnolds park and west okoboji around 535 am cdt. 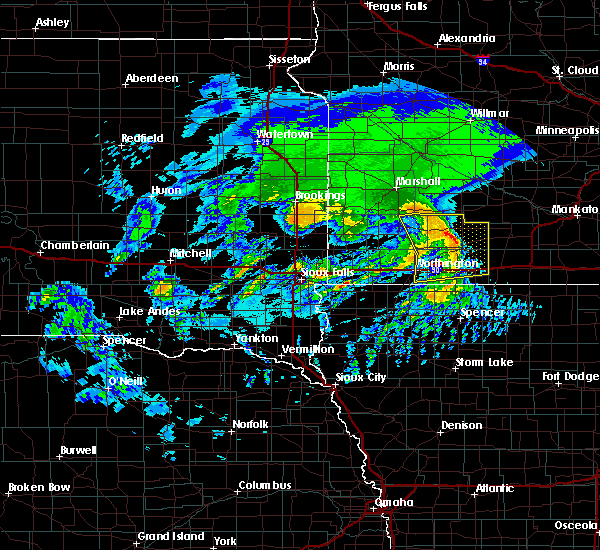 comfrey and terril around 540 am cdt. 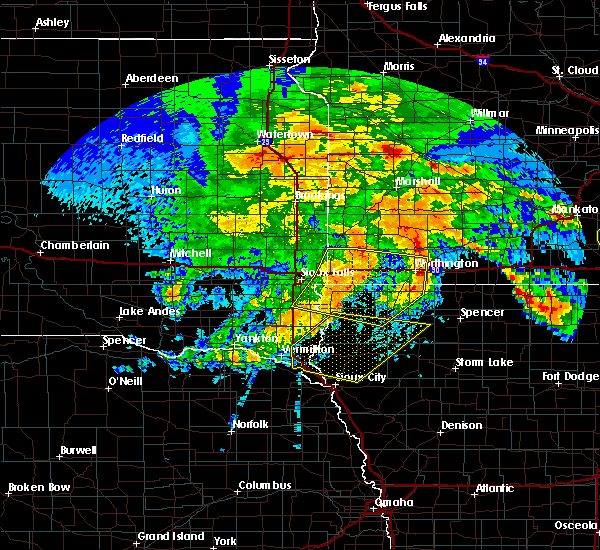 Other locations impacted by these severe thunderstorms include okabena, wilder, alpha, delft and sanborn. 6/20/2015 4:41 AM CDT The severe thunderstorm warning for dickinson, northern clay, osceola, southeastern murray, jackson, cottonwood and eastern nobles counties will expire at 445 am cdt, the storms which prompted the warning have weakened below severe limits, and exited the warned area. therefore the warning will be allowed to expire. however gusty winds are still possible with these thunderstorms. a severe thunderstorm watch remains in effect until 600 am cdt for northwestern iowa and southwestern minnesota. 6/20/2015 4:29 AM CDT At 427 am cdt, severe thunderstorms were located along a line extending from near jeffers to near lakefield to near ocheyedan, moving east at 65 mph (radar indicated). Hazards include 60 mph wind gusts. Expect damage to roofs. siding and trees. these severe storms will be near, jackson in jackson county, bergen and kilen woods state park around 435 am cdt. comfrey around 440 am cdt. 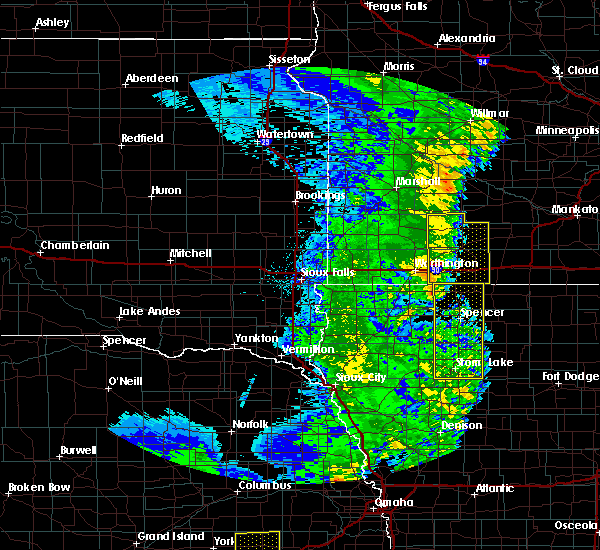 spirit lake, milford, arnolds park, okoboji, wahpeton and west okoboji around 445 am cdt. Other locations impacted by these severe thunderstorms include okabena, alpha, delft, dundee, bigelow, wilder, kinbrae and sanborn. 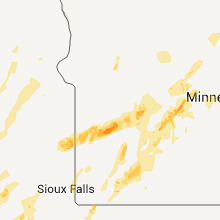 6/20/2015 4:18 AM CDT At 417 am cdt, severe thunderstorms were located along a line extending from near storden to near brewster to sibley, moving east at 65 mph (radar indicated). Hazards include 60 mph wind gusts. Expect damage to roofs. siding and trees. 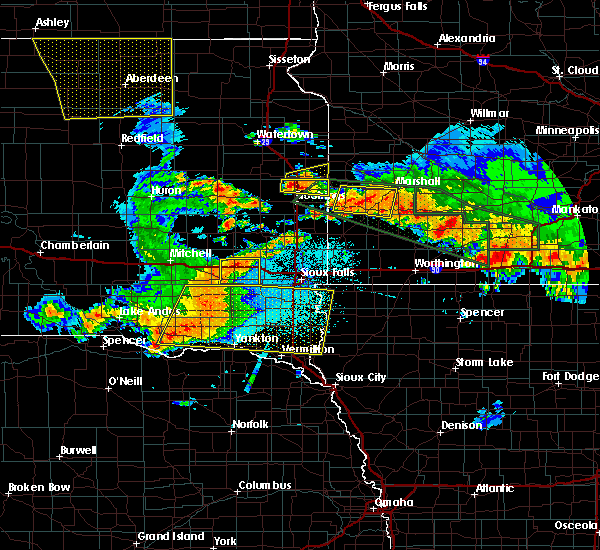 these severe storms will be near, jeffers around 425 am cdt. lakefield around 430 am cdt. jackson in jackson county, lake park, bergen, harris and kilen woods state park around 435 am cdt. comfrey around 440 am cdt. 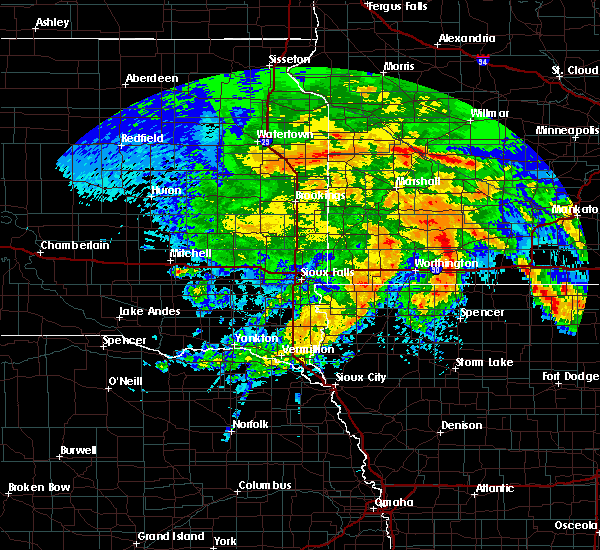 spirit lake, milford, arnolds park, okoboji, orleans, wahpeton and west okoboji around 445 am cdt. Other locations impacted by these severe thunderstorms include okabena, alpha, delft, dundee, avoca, bigelow, wilder, kinbrae and sanborn. 6/20/2015 4:11 AM CDT At 410 am cdt, severe thunderstorms were located along a line extending from dovray to near worthington to near george, moving east at 60 mph (radar indicated). Hazards include 60 mph wind gusts. Expect damage to roofs. siding and trees. these severe storms will be near, worthington, westbrook, brewster and dovray around 415 am cdt. storden around 420 am cdt. jeffers around 425 am cdt. 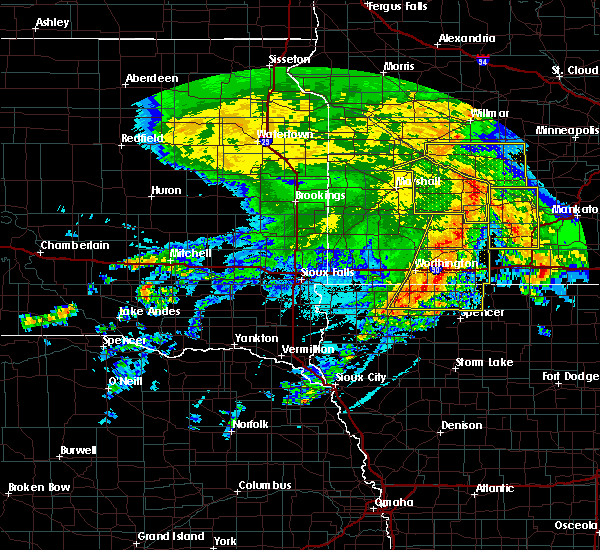 lakefield, ocheyedan and melvin around 430 am cdt. bingham lake and kilen woods state park around 435 am cdt. jackson in jackson county, mountain lake and comfrey around 440 am cdt. 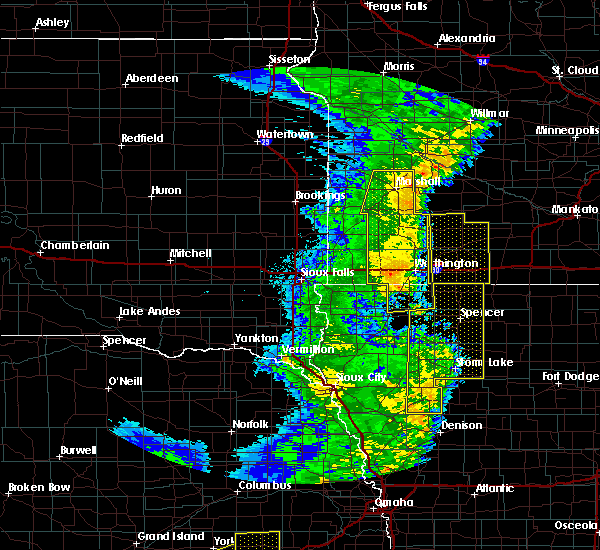 milford, west okoboji and fostoria around 445 am cdt. Other locations impacted by these severe thunderstorms include okabena, alpha, delft, dundee, avoca, hadley, bigelow, wilder, kinbrae and iona. 6/20/2015 3:56 AM CDT At 355 am cdt, severe thunderstorms were located along a line extending from 6 miles northwest of slayton to near lismore to near alvord, moving east at 65 mph (radar indicated). Hazards include 60 mph wind gusts. Expect damage to roofs. siding and trees. 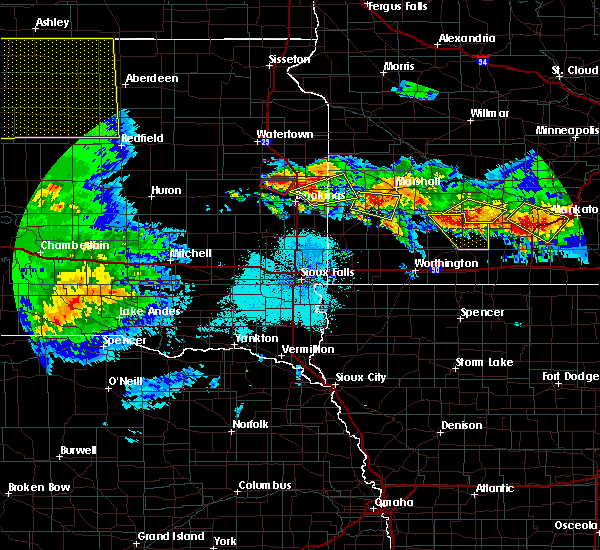 severe thunderstorms will be near, slayton, rushmore, wilmont and lake shetek state park around 400 am cdt. currie around 405 am cdt. worthington and dovray around 410 am cdt. westbrook and brewster around 415 am cdt. sibley, ashton and storden around 420 am cdt. jeffers and melvin around 425 am cdt. lakefield around 430 am cdt. bingham lake and kilen woods state park around 435 am cdt. Other locations impacted by these severe thunderstorms include okabena, alpha, delft, dundee, avoca, hadley, bigelow, wilder, kinbrae and iona. 8/31/2013 10:45 PM CDT Quarter sized hail reported 0.3 miles SE of Jeffers, MN, hail completely covering the ground around town.